North Korea is showing signs of wanting to get back to talks. But without any changes to its behaviour, it might be better to focus on the next generation. The well-choreographed pas de deux of South Korean and North Korean nuclear negotiators in Bali, and the visit of North Korea’s Senior Vice Foreign Minister Kim Kye Gwan to New York, appear to have rekindled hopes for dialogue with North Korea and a resumption of Six-Party Talks. Pardon my scepticism, though, but haven’t we seen this movie before? Looking over the record of the past two decades, it’s fair to ask what we’d talk about now that we haven’t talked about before. Three successive administrations have posed essentially the same simple binary choice to Pyongyang: butter or guns? And North Korea’s consistent response has been to avoid making the choice and to attempt to go for both: to be both a strong and prosperous country (in North Korean terms) and one with a nuclear capability. 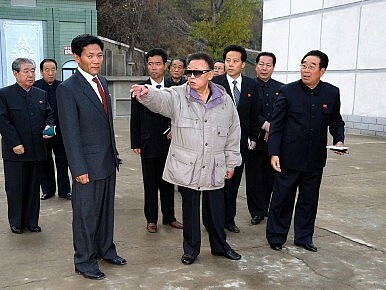 As to the strong and prosperous country, looking ahead to 2012, North Korea appears to be betting on continuing Chinese support. Recently, North Korea and China announced plans for the joint development of special economic zones, this time with the clear commitment and underwriting of Beijing. Last month, China’s Minister of Commerce and North Korea’s Jang Song-taek participated in groundbreaking ceremonies at one of the new SEZs. During recent conversations in Beijing, Chinese analysts and academics were clear that China’s priority in North Korea is stability through the transition; this means back-stopping the North Korean economy. Absent a miraculous immaculate denuclearization, Beijing’s concerns are focused elsewhere in North Korea. Meanwhile, North Korea, beyond announcing that it is prepared unconditionally to return to the Six-Party Talks – which really is conditioned on our not asking for an apology for the Cheonan sinking and the shelling of Yeonpyeong Island – has shown little change in its behaviour. Indeed, just recently, by disclosing secret South Korean initiatives, it blew up any chance for a South-North summit. (Actually, Pyongyang’s closing off of a South-North Summit and pivoting to the United States is a tried and true North Korean stratagem for marginalizing Seoul). Have the meetings in Bali and New York advanced diplomacy to the point where we should consider a mid-course correction from strategic patience, and if so, why? To what end? What benefits are attainable and at what cost? As for why, several reasons suggest themselves: the lack of success in constraining North Korea’s nuclear programme, the growing risks of proliferation, the need to discourage North Korean provocations, or encourage positive, responsible behaviour, and the need to address North Korea’s security paranoia. Clearly, the longer North Korea continues to assert its status as a nuclear weapon state, the more difficult it will be to realize complete denuclearization. If we remain committed to a denuclearized North Korea as an end state – and I can’t imagine that objective changing – is it possible, as Saeed asks, to attain that objective through a staged process, that, in the first phase, would involve capping the North Korean nuclear arsenal, dismantling of the Yongbyon reactor, and securing intrusive international IAEA oversight over all nuclear materials and facilities? In a second, undoubtedly distant, phase, North Korea would surrender its nuclear arsenal, rejoin the Non-Proliferation Treaty, and normalize relations with the United States. But can we really get there from here, and at what cost? Both domestically and internationally, the degree of difficulty of the US securing critical support from South Korea, which faces its own presidential election next year, could be measured as a ‘Ten Plus’ in Olympic high diving terms. And the cost to US credibility in South Korea and Japan in terms of support for the NPT and the global non-proliferation regime could prove incalculable. For the United States to go it alone would reward North Korea’s longstanding efforts to drive deep wedges into those alliances. We can’t deny the risks posed by North Korea’s nuclear programme, but we can manage them by maintaining strong alliance coordination and cohesion with Seoul and Tokyo by reinforcing our commitment to deterrence and defence, by continuing to work with China and Russia, and by being willing to explore possible openings with North Korea. However strained our strategic patience may be, we shouldn’t be strategically impatient either. Despite anyone’s best efforts, some problems can’t be solved when we want, in the way we want; they simply have to be managed. Deterring North Korea is a tough job, but someone has to do it. A better earth penetrating nuclear weapon might help.